1. 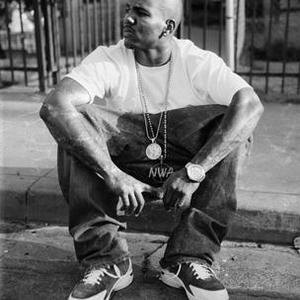 Jayceon Terrell Taylor (born November 29, 1979 in Compton, California, United States), better known by his stage name Game, formerly known as The Game, is an American Grammy Award winning gangsta rapper signed to Aftermath Entertainment through his own label Black Wall Street Records, with which he founded with his half brother Big Fase 100. He rose to fame in 2005 with the success of his debut album, The Documentary, and his two Grammy nominations. Since then he has released several other critically acclaimed albums, 2006's Doctor's Advocate and 2008's LAX, which he claimed to be the final album he would release, but in mid-2009 he started recording The RED Album, which was released August 23, 2011. In the near future he also plans to focus on acting and other business ventures. All of his four albums debuted at #1 on the Billboard Top 100, and he is widely considered to be a driving force in bringing back the West Coast hip hop scene and competing with many of his East Coast counterparts. 3. A French new wave band from the 80's coming from the suburbs of Paris. It's line up was : Marc Dimitri (Vocals), Herv? Lorthioir (guitar), Patrick Larrieu (guitar), Jacques-Laurent Lardaud (bass), Fred?ric Rottier (Drums), Dominique Cointre (keyboards), Claire (ch). Musically it sounded similar to bands like the Sisters of Mercy or Red Lorry Yellow Lorry. They released one single ?Walk Away? on EMI France (1988) and an album titled "Under The White Bible Law" (1989).